mandated with the responsibility of governing the use of electricity in Nigeria. The company was formerly known as NEPA before being renamed to PHCN. The deplorable condition of electricity in Nigeria prompted the former president of Nigeria Dr Goodluck Jonathan to start making moves for the privatization of PHCN. 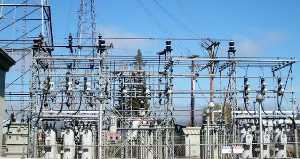 This eventually became a reality when the Federal Government enacted the Electric Power Sector Reform Act of 2005, which called for unbundling the national power utility company into a series of 18 successor companies: six generation companies,12 distribution companies covering all 36 Nigerian states, and a national power transmission company. On September 2013 PHCN was dissolved following the privatization,then the Nigerian Electricity Regulatory Commission (NERC) was formed as a body that will help to monitor and regulate the Nigerian electricity industry. Following the privatization of PHCN,the company was then divided into Local Distribution Companies (LDC). These Local Distribution Companies (LDC) will be responsible for managing and handling electricity distribution in each of their state or region. Listed below are the names of the 11 distribution companies,6 power generation companies,one transmission company and about 100 investors in electricity generation,transmission and distribution in Nigeria. Westcom Technologies & Energy Services Ltd.